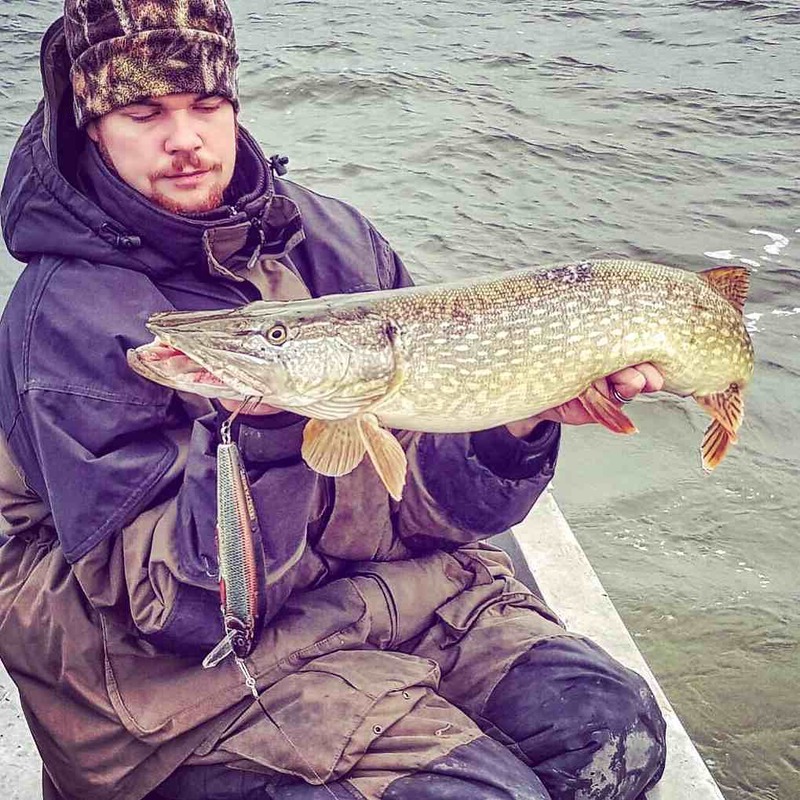 Hailing from Niagara on the lake, Ontario Canada, Grant Kopper’s Livetarget is the creator of what are possibly The most realistic baits on the planet. 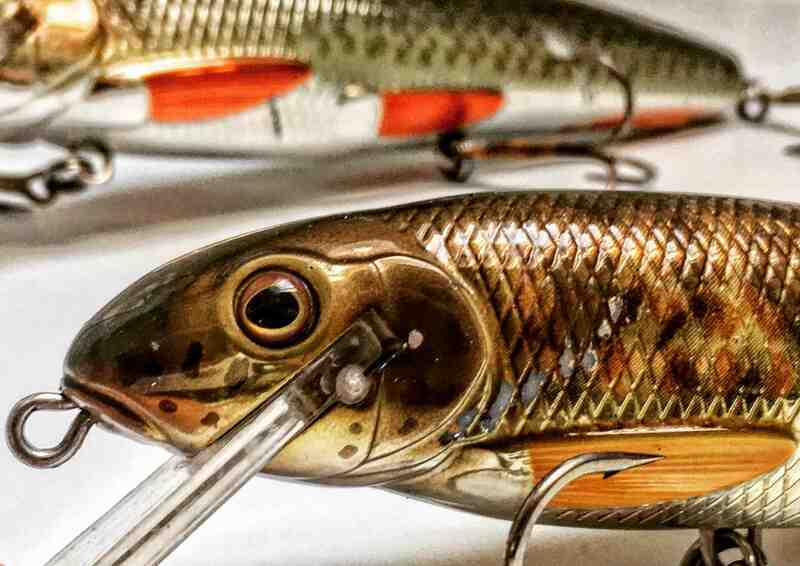 Every single year, they put out truly unique baits for the worldwide anglers to fish with, and one of the first thing you’ll notice when holding one in your hand is how incredibly awesome the colors are. In fact, the colors on any Livetarget bait are second to none. It doesn’t matter if it’s their soft baits, rattling baits or crankbaits, every single bait produced is a true masterpiece! 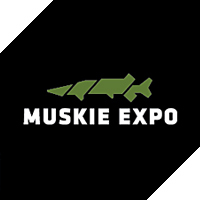 When it comes to Muskie & Pike fishing, Livetarget has created a truly unique crankbait series, called the Sucker stickbait. This crankbait is basically a real exact copy of a sucker and comes in a variety of different exciting colors. The Sucker series of crankbaits offer a unique soft rolling action that creates high flash energy to attract nearby predators. 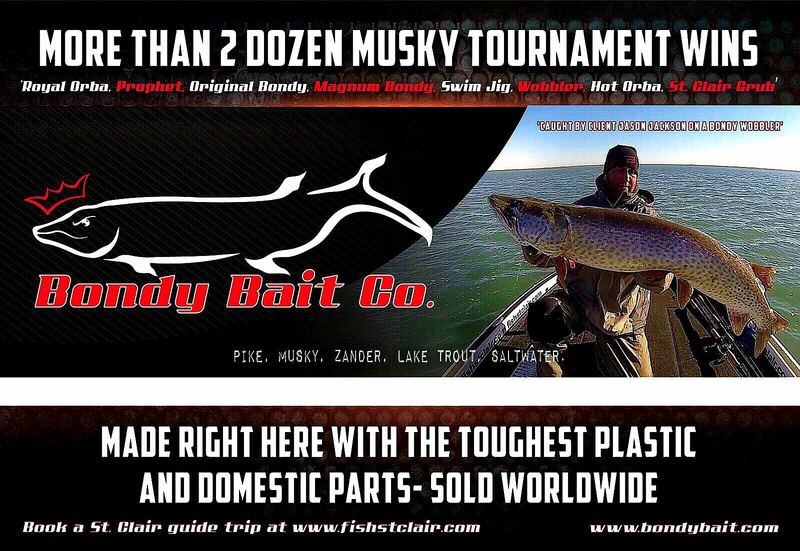 It is designed with a wire-thru construction so it makes the bait very high quality. It has a tough paint job, which really stands out in the water. And for every type of situation, there is a different pattern to choose from! 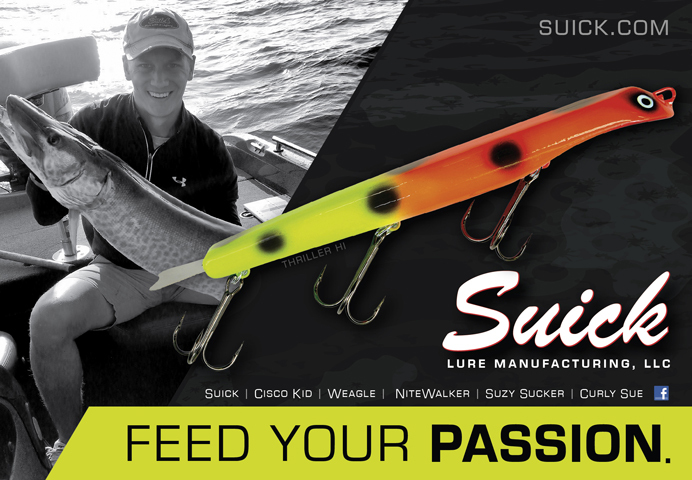 The Sucker Stickbaits come in two different sizes. One is a 6 1/4” crankbait, and the other an 8 1/4”. Both baits are very unique and have a totally different swimming action. The smaller stickbait has quite an erratic action in the water, and you can really feel it thump on your rod when trolling. Something very exciting I found when trolling this size is that it wanders from side to side, even at low speeds. So you don’t necessarily need to troll at a fast phase, in fact, the bait will already wander at speeds as low as 1,5mph. 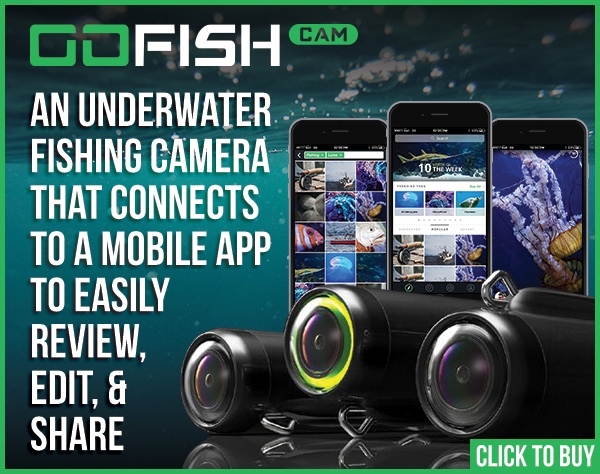 A great thing for the cold water periods to get even the most hesitating fish to bite. 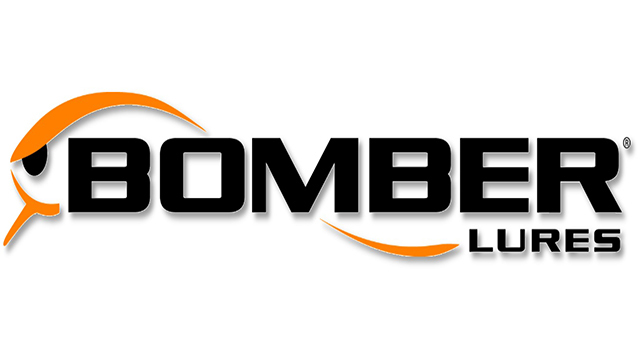 It is also a great crankbait for summer tactics being fished on s short line in the prop wash right beside your boat. There’s just something about the action of this thing they simply cannot resist! The bigger Sucker, on the other hand, is an exceptional bait to be used at the deeper layers of any body of water. It doesn’t matter how deep it is, it will run far down. Long flatline trolling is one of my favorite things to do with this bait. The strikes are ferocious and hard when the fish take this bait. And no wonder, it really swims like a real fish would do. Like mentioned earlier, the colors on these baits are very unique, and any light coming onto the bait will create a tremendous amount of flash. Dark, stained or clear water, it doesn’t matter, the fish will find it. This bigger Sucker Stickbait has a slightly different action than it’s smaller brother. In fact, it has got more like a flanking action. It has a very big lip, and you would expect it to be pulling hard, but none of that is the case. These crankbaits are very well designed and made with one thing in mind, catching fish. 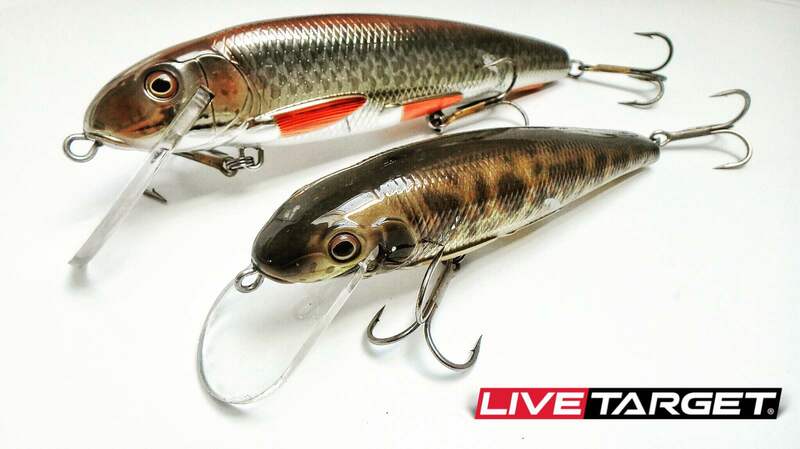 The Livetarget series of crankbaits has quickly become my personal favorite because they are often the last rescue that works on days when the bite is really off. Whatever might be the reason for it, they excel in cold front conditions. Because of the shape and size they come in, a large variety of different techniques can be used to fish them. Casting, trolling, fast phase trolling, slow phase, it doesn’t matter what you want, these baits can do it. The minute you’ll put on in the water, that’s when you know you’ve got yourself a winner!